Harare - Oliver Mtukudzi's first wife, Melody Murape maintains she is not interested in the late musician's estate, even though she claims, he still loved her till death. The estranged wife says she is the one who left the matrimony the deceased singer, getting a share of what they had acquired as a couple then. Her reason for the divorce was because Daisy Mtukudzi had come in the picture, but Melody was opposed to a polygamous set up. At the funeral, Melody claims she was completely ignored, allegedly at the instruction of Mtukudzi’s widow Daisy. The bitter wife, who blames Daisy for the collapse of her marriage, opened up to a daily tabloid recently. "Vanhu vavakuti ndavakuda zvinhu; ndogoda kukohwa pandisina kurima sei? Kana vanhu varambana ungazono pihwa pfuma yemurume wawakaramabana naye here? Kwete. "What I worked for with Tuku.I got. I don’t want to lie. What he had now, was for him and the one he was now staying with. I’m not that greedy and I don’t even have the power to claim anything from them. Munhu ngaadye zvaakashandirawo." Melody also said that after her divorce from Mtukudzi she had received the house that they had acquired in Chitungwiza. The other apartment that the couple had acquired in Eastlea had to be sold as both she and Mtukudzi were interested in it. "Let me make it clear, Tuku did not divorce me, but it’s me who surrendered as I was against polygamy. Tuku was the only husband I knew from the age of 18," said Selmor's mother. 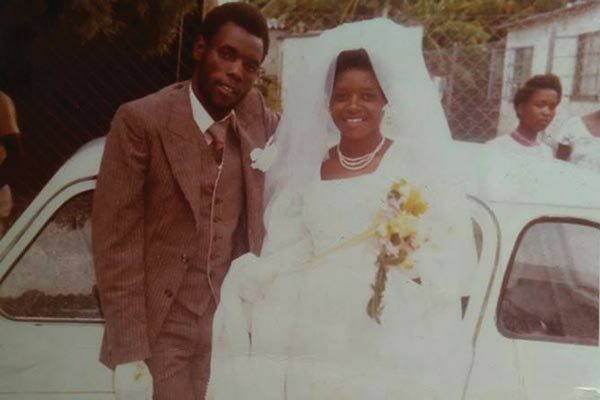 The couple had a massive wedding in 1979, with 48 bridesmaids that shocked the country and attended by thousands in Harare.